Though invaluable for cleaning up in a wet basement, these pumps are actually handy for a broad variety of household tasks. Learn the basics here. Sure, there may be calm before the storm, but afterward, once the dark clouds have given way to sunshine, there’s often the stress and labor of cleaning up—at least for those plagued by seemingly intractable drainage issues. You’ve checked and rechecked the gutters. You’ve shored up the foundation. Maybe you’ve even brought in an excavator to adjust the slope of your site. In short, you’ve consulted the experts and done everything right, yet your water woes persist. Indeed, for some homeowners there’s nothing left to do but deal swiftly and diligently with standing stormwater, both in and around the home. Sump pumps go a long way toward preventing basement floods, but for a versatile, all-purpose weapon in the war against moisture, you may want to consider arming yourself with a transfer pump. Also sometimes known as utility pumps, transfer pumps perform one simple but critical function: They move water from one place to another. Straightforward though it may be, a transfer pump’s functionality proves handy in any number of ordinary homeowner situations, including but not limited to storm cleanup. If, for instance, you wanted to empty out your water heater for maintenance or repair purposes, a transfer pump would enable you to get the job done effectively and with minimal mess. Likewise, if your swimming pool cover had begun to sag under the weight of an oversize puddle, you could use a transfer pump to relocate the water to a storage container or, better yet, your thirsty lawn or garden. In other words, a transfer pump makes it easy to handle otherwise unwieldy watery tasks. Daniel O’Brian, a technical specialist with SupplyHouse.com, points out that transfer pumps’ designs are as varied as their potential applications. “Transfer pumps can be submersible or non-submersible, portable or permanently installed. 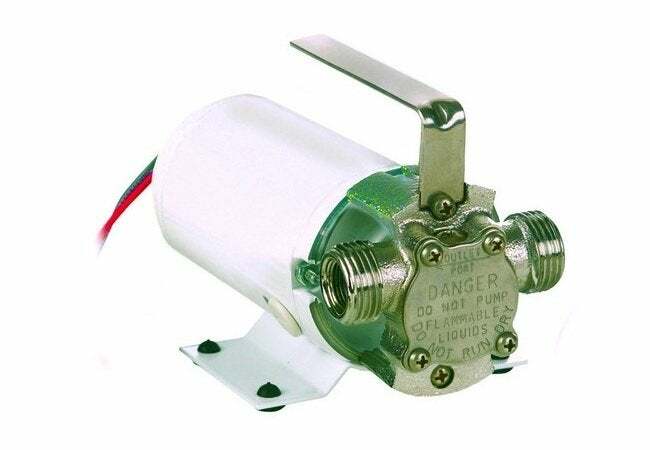 And while many run on electricity, there are gas-powered and manually operated models as well.” Despite their differences, most transfer pumps operate in a broadly similar way, by creating a difference in pressure that pushes the water from the inlet to the outlet. Typically, a standard garden hose can be hooked up to either side (if not, use lengths of plastic tubing of the type you can find at any home center). Simply place the inlet hose in the water you want to remove, and position the outlet hose to direct the water wherever you want it to go. Activate the pump, and you’re on your way. When choosing among the many transfer pumps on the market, base your selection on how you plan to use the equipment. If you need to shift volumes of water only between locations that are for the most part dry, then opt for a standard, non-submersible model. If your needs are more demanding—if, for example, your goal is to pump water out of a pond or hot tub—then go for a submersible model, one whose motor sits within a special watertight housing. Also, be sure to consider the fact that transfer pumps range widely in terms of overall capacity. The pumping power of any given model is influenced by two key measurements—the horsepower generated by its motor and the amount of water the pump can move (measured in gallons per hour). Generally, you need to pay more for more power. Modestly sized transfer pumps are relatively inexpensive. 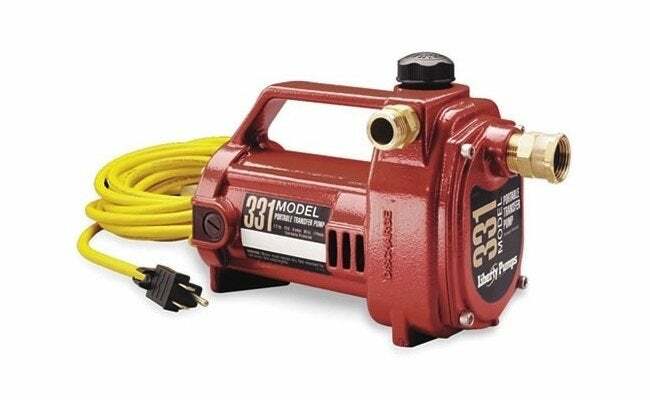 For instance, you can purchase the Little Giant 360 Transfer/Utility Pump for about $90. Portable and lightweight, the non-submersible, electrically powered Little Giant 360 boasts a 1/10-horsepower motor, capable of drawing liquid from as many as seven feet below and pumping it up as high as 48 feet. By comparison, the Liberty Pump 331, which sells for a little over $200, offers 1/2 horsepower and can pump water up to 100 feet overhead. As is to be expected with any product, transfer pumps each come with their own pros and cons. 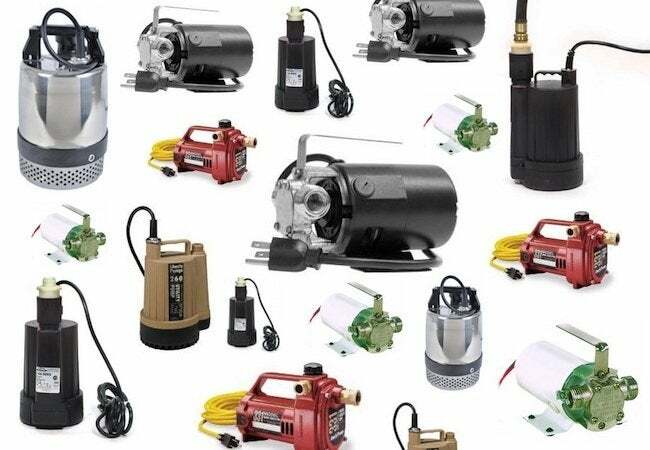 For help navigating the wide variety of available transfer pumps, don’t hesitate to reach out for advice, custom-tailored to your individual needs and goals, from the experts at SupplyHouse.com.